ALICE DAHLGREN and KIM JORDAN offer relocation services to the greater Oklahoma City metro area. HOMEoklahoma, Luxury REALTORS®. ALICE DAHLGREN and KIM JORDAN continue to be ranked year after year among the Top 10 REALTORS® in Oklahoma for RE/MAX sales associates on volume. CRS, GRI, and CLHMS designations, among others, mean that you know your referrals will be met with excellent service and their needs will be fully anticipated. 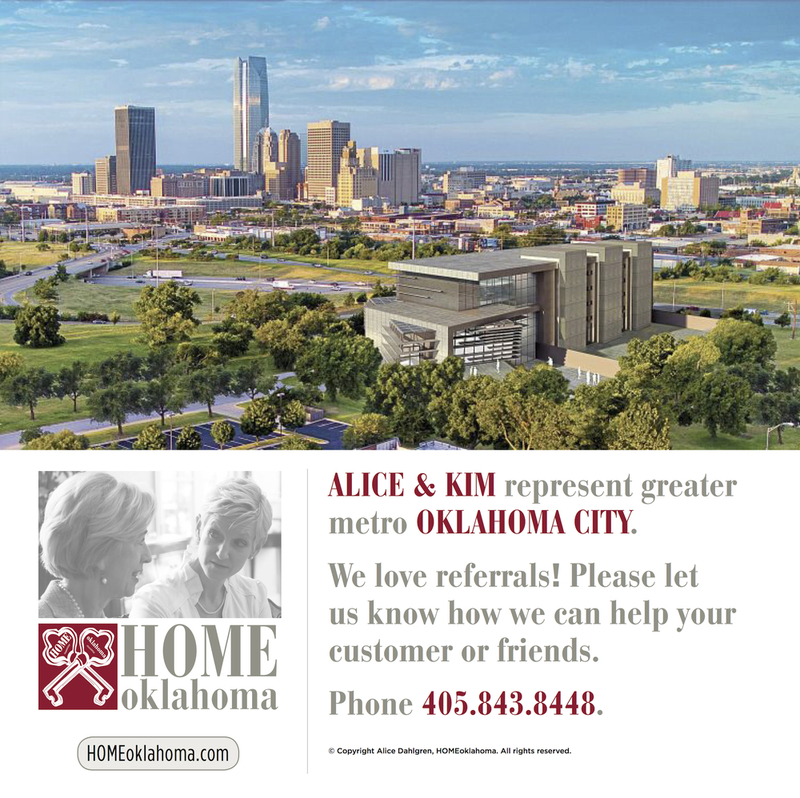 ALICE DAHLGREN & KIM JORDAN | REALTORS® Licensed Sales Associates RE/MAX First OKLAHOMA CITY | Call or email today!